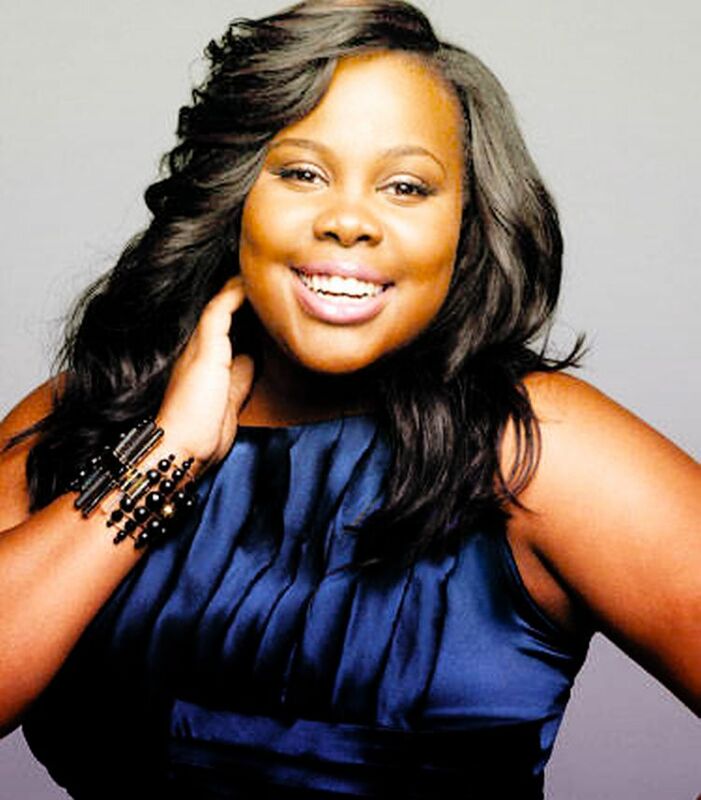 Amber Riley has unveiled a new song online. The singer/songwriter posted “Leave a Light On” to her Official SoundCloud Page on Valentine’s Day (February 14, 2014). The track was written by Amber Riley and Lisa Scinta along with Michael Mani and Jordan Omley of production duo The Jam. “Leave a Light On” has been recorded by The Saturdays for their latest album, “Living for the Weekend,” out now via Fascination / Polydor Records. Meanwhile, the “Glee” star is currently working on her upcoming debut album, which expected to be released later this year. The still-untitled collection will be executively produced by Scott “Scooter” Braun, who also manages the music careers of Justin Bieber [Island Records], Tori Kelly [Capitol Records] and Carly Rae Jepsen [Interscope Records]. Among the musicians confirmed for the album are Tommy Brown and Victoria Monet, who previously worked with Fifth Harmony [Epic Records], Cee-Lo Green [Elektra Records] and Naya Rivera [Columbia Records]. Watch a live performance of “Leave a Light On” by The Saturdays below. Amber Riley has started the process of recording her upcoming debut album. Songwriting and production duties on the still-untitled collection are headed by Victoria “Monet” McCants and Thomas “Tommy” Brown. The hit making duo are responsible for tracks including “Daydreamin” by Ariana Grande [Republic Records], “Visual Love” by Chrisette Michele [Motown Records] and “You Wouldn’t Understand” by Nas [Def Jam Recordings]. They also worked on the next albums by Naya Rivera [Columbia Records], Estelle [New London Records] and CeeLo Green [Elektra Records]. Riley recently co-wrote the track “Leave a Light On” by The Saturdays along with hitmakers Jordan Omley and Michael Mani. She is currently managed by Scooter Braun, who is also handling the careers of Justin Bieber [Island Records] and Tori Kelly [Capitol Records]. Her highly-anticipated debut album is expected to be released later this year. The Saturdays have revealed the official credits for their upcoming studio album. The group will release “Living for the Weekend” in the United Kingdom on October 14 via Universal Music Group / Fascination / Polydor Records. New single “Disco Love” – available for download from October 8 via iTunes and all other digital outlets – was written by Pálmi Ragner Ásgeirsson, Ásgeir Orri Ásgeirsson, Saethór Kristjánsson and Adam Klein. Other songwriters on the new collection are Autumn Rowe (Zendaya, Cher Lloyd), Camille Purcell (Little Mix, Cover Drive), Priscilla Renea (Beyoncé, Alicia Keys), Celetia Martin (Ashley Tisdale, Conor Maynard), Lucie Silvas (Rachel Stevens, Katharine McPhee) and Diane Warren (Celine Dion, Whitney Houston). Production duties were handled by The Jam: Michael Mani & Jordan Omley (Brandy, Raven Symone), Rodney “Darkchild” Jerkins (John Legend, Kelly Rowland), Steve Mac (Kelly Clarkson, Leona Lewis), Jim Jonsin (Usher, Nicole Scherzinger) and Carl Ryden (Nabiha, Alexandra Burke). “What About Us” – (Camille Purcell / Ollie Jacobs / Philip Jacobs). “Disco Love” – (Pálmi Ragner Ásgeirsson / Ásgeir Orri Ásgeirsson / Saethór Kristjánsson / Adam Klein). “Gentleman” – (Priscilla Renea Hamilton / Lucas Nathanson / Scott Effman). “Leave a Light On” – (Michael Mani / Jordan Omley). “Not Giving Up” – (Antonio Egizii / Celetia Martin / David Musumeci / Carl Ryden). “Lease My Love” – (Priscilla Renea Hamilton / Rodney “Darkchild” Jerkins). “30 Days” – (Autumn Rowe / Steve Mac). “Anywhere With You” – (Una Healy / Mollie King / Frankie Sandford / Rochelle Humes / Vanessa White / David Schuler / Michael Mani / Jordan Omley). “Problem with Love” – (Michael Mani / Jordan Omley / James Scheffer). “You Don’t Have the Right” – (Diane Warren). “Don’t Let Me Dance Alone” – (Una Healy / Mollie King / Frankie Sandford / Rochelle Humes / Vanessa White / David Schuler / Michael Mani / Jordan Omley). “Somebody Else’s Life” – (Una Healy / Mollie King / Frankie Sandford / Rochelle Humes / Vanessa White / Charlie Holmes / Lucie Silvas / Judie Tzuke). “Wildfire” – (Una Healy / Mollie King / Frankie Sandford / Rochelle Humes / Vanessa White / Julian Gingell / Barry Stone).